Questions about this product? Call us on +1 (347) 2690504. We offer a 1-month money-bay guarantee. With this, we will refund the full purchase amount (less delivery and pick-up cost). We guarantee that the containers we provide live up to the promised condition through our condition quality guarantee. Boxhub can deliver anywhere within 150 miles within 7 business days. We are often able to arrange it faster, so just let us know what you need and we will try and assist. When you pay with credit card, payment, we will reserve the amount. Only after we have confirmed that your shipping container is ready for pick-up/ delivery will we withdraw the funds. Payments are managed securely through Stripe. 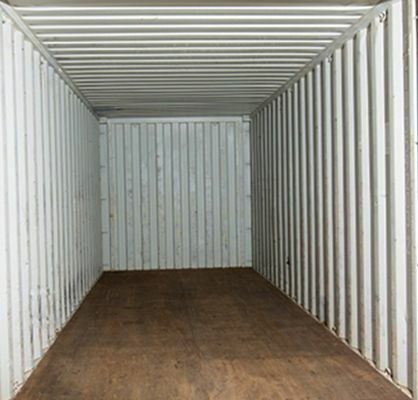 We know that buying a used shipping container can seem confusing, especially the first time. This is why we guarantee that the containers we provide live up to the promised condition through our guarantee. However, in case you regret your purchase (for whatever reason) we don’t want you to be stuck with a container that you don’t need. That is why we offer a 1-month money-bay guarantee. With this, we will refund the full purchase amount (less delivery and pick-up cost). No questions asked - just let us know that you don’t need the container after all, and we will arrange to pick it up. Cargo-worthy means that the container condition meets the requirements for transporting cargo. 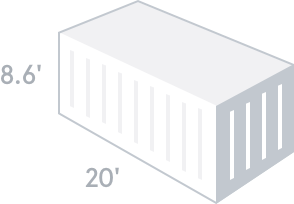 These containers are CSC certified, allowing it to be used for shipping. These containers will be ideal for most purposes, both transportation storage and modifications especially for converting into housing as they floors are generally in a good condition. You should select this option if you need a high-quality container that can be used for any purpose. Can I see a picture the specific container I am getting? At the moment, unfortunately not. Boxhub is working with the shipping lines and leasing companies to make it easier to provide photo documentation of the containers for sale. 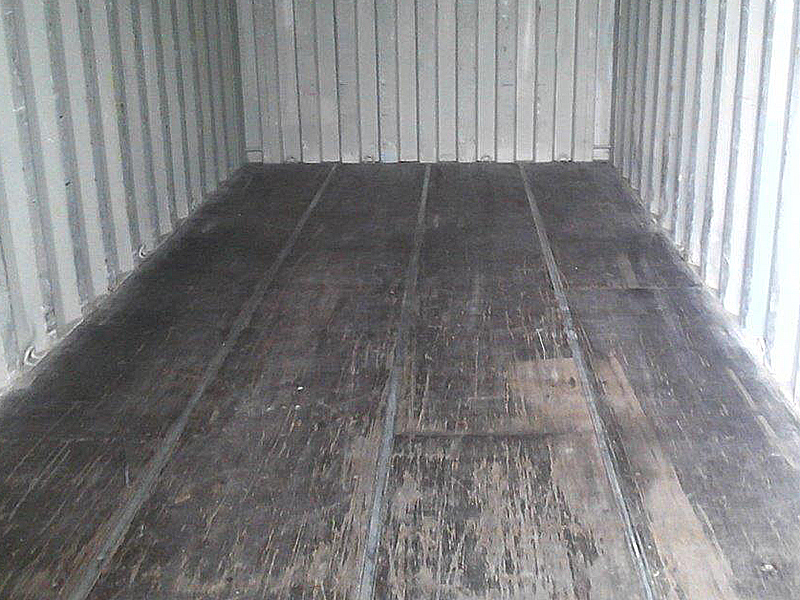 Our suppliers only guarantee the structural integrity and not the physical condition of the used containers. So, while we guarantee the structural integrity of the containers (leak-free, floors free of holes and doors in working condition), we do not make guarantees regarding the cosmetic appearance. 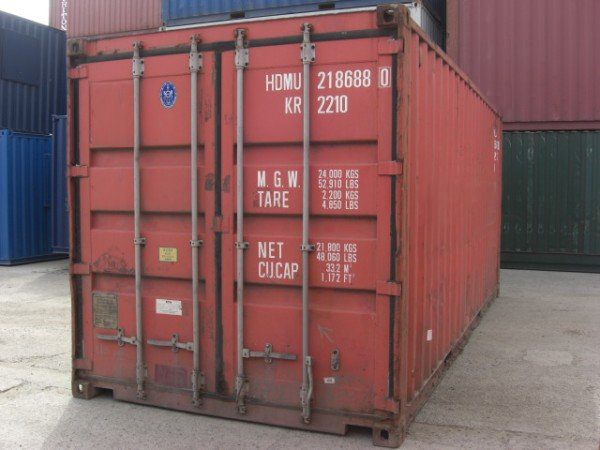 Used shipping containers will always have smaller dents, surface rust, scratches/ gouges on the floors or metal patches. Please take a look at our “Condition Guide” where this is clearly described along with pictures of the potential cosmetic issues to be aware of when purchasing a used container. Boxhub can arrange delivery directly to your site. Please refer to our guide to delivery. We will calculate the most likely costs based on your address. We will then confirm this by answering a few questions about your delivery site to decide the most economical option for your site. Boxhub does not currently provide financing. Please give us a call, and we can potentially refer to reputable financial services providers that an assist. If you are buying a shipping container for International transport/ export, Boxhub can help obtain the mandatory 12-month “CSC survey”. This is a survey which verifies that the container lives up to the stated lifting and stacking capabilities, and can therefore safely carry cargo in international shipping. Let us know if you need this service, and we will be pleased to arrange. Where is my container shipped from? Your container will be shipped from the nearest possible intermodal depot. If needed, Boxhub can assist with arranging the most economical delivery option directly to your site. Why is Boxhub cheaper than other sites? Boxhub is an independent platform, that makes the supply of containers transparent to the end-buyers. As we use the newest online technology to streamline the process and connect directly to the container Owners we can keep costs low and eliminate unnecessary middlemen. When purchasing containers from Maersk Line our Buyers are obligated to follow our terms of sale. Buyer must ensure that all prefixes, identification digits, logos, decals, markings, symbols or like items are removed. It is Buyer's responsibility to perform all necessary customs procedures and account for import duties & VAT. Boxhub is a proud and active member of the NPSA (National Portable Storage Association) in the USA and Canada. The NPSA is the leading trade association for companies in the container storage industry, and we are proud to supply the community with shipping containers across the United States and Canada.